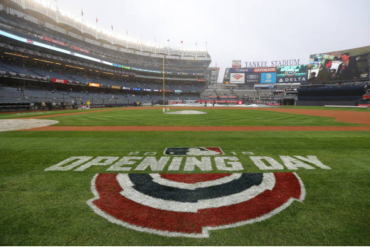 Its a mere two weeks and 10 games into the 2018 Major League Baseball season and boos can already be heard at Yankee Stadium. As anyone will tell you, most people don’t like people that can’t handle their boos. And, right now a good-sized number of those in attendance at Yankees games cannot handle their boos. 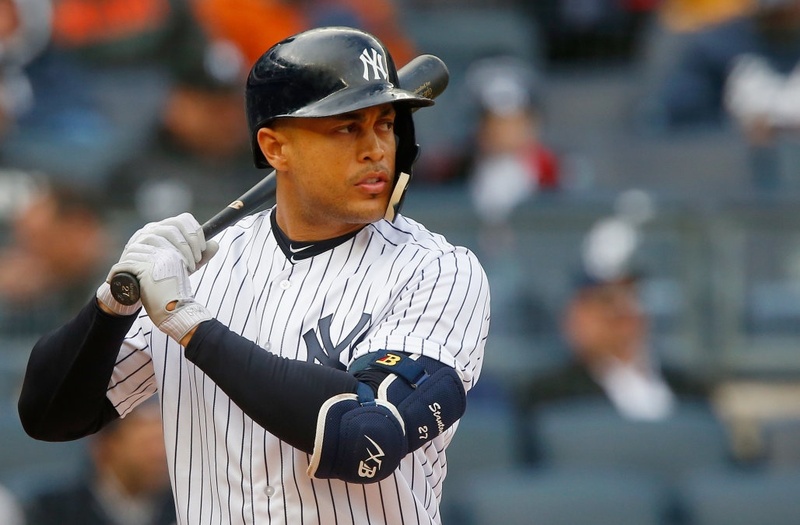 The majority of the unhappiness has been directed towards outfielder Giancarlo Stanton. 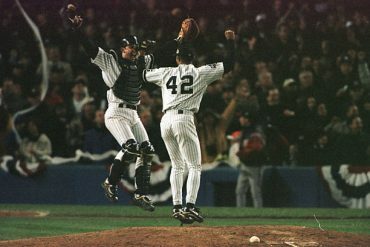 The offseason addition was regarded by some as the second-coming after he homered twice in his first game as a Yankee on Opening Day. Since then, many in the fanbase have gone from “Thanks, Derek Jeter!” and “What a steal!”…to “Go back to Florida!”. Can we get a little mood equalizer, STAT? Now, while some of these boos may be caused by booze, it’s more likely it is the premature onset of expectations. That’s what happens when a team has come out of nowhere to win 91 games and come within one game of the World Series in the prior season. Breaking it down: Stanton is 3-10 with a home run when the temp was 50 degrees or higher. And, he was 0-18 when the game time temp dropped below 50 degrees. You don’t play too many games in Miami wearing a ski mask. The first four games of the season took place in a temperature-controlled dome in Toronto. Stanton was 4-14 (.286) with 3 walks (.444 OBP), 2 HR, 2 2B, 4 RBI. Added to the 50+ degree days, Stanton has a slash line of .292/.393/.750 (1.143 OPS) when he can feel his fingers and toes. Don’t expect things to change too much up in Boston. The highs will be in the mid-to-upper 40’s, but all three contests are night games with the temps heading back down. 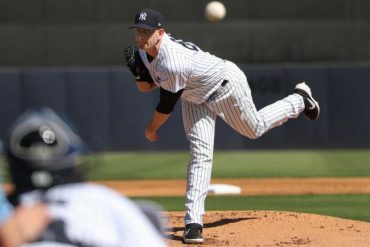 Obviously, had the Yankees not lost three of four to Baltimore – games they could have/should have won – Stanton’s struggles would have been less scrutinized. 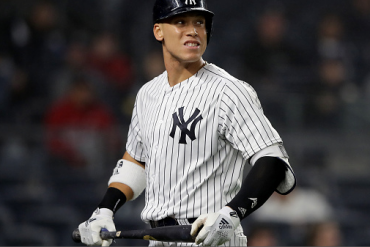 Also, keep in mind that while Stanton’s career numbers in the first month of the season are good, his slugging percentage, batting average, home runs, RBI, on-base percentage and on-base + slugging percentage are all the lowest of any month of the season. He also has the second-highest strikeout total of his career in April, with only the month of June seeing more whiffs in his at-bats. It’s not like the rest of the Yankees are ripping the cover off of the ball either. Gary Sanchez, Tyler Wade, Miguel Andujar, and Neil Walker head to Boston with their OPS below .600. 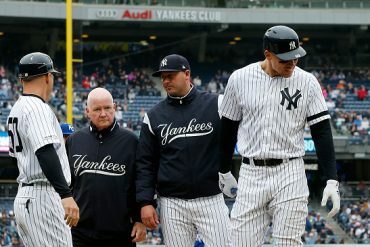 And, it’s not just the Yankees that are experiencing cold feet…and hands, etc. Combine the cold weather and pitchers generally showing less rust than hitters this time year, and you will see that there are some pretty ugly slash lines all around baseball. Despite their winning ways, Andrew Benintendi, Jackie Bradley Jr., Christian Vazquez, and J.D. Martinez are all off to slow starts for the Red Sox. But, when you have won eight of your first nine games, everybody is happy. 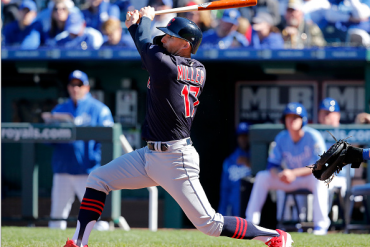 The Cleveland Indians, one of the favorites to win the AL Pennant and World Series, have seven of their nine regular hitters with an OPS under .700. The Chicago Cubs’ Anthony Rizzo had 32 HR and 109 RBI in each of the last two seasons. To date in 2018, Rizzo has a .433 OPS and one home run. Perennial All-Star Evan Longoria‘s first season in San Francisco has started out 4-29. Another multiple All-Star and MVP candidate, Joey Votto entered Monday with a .429 OPS. And, the 2016 NL Rookie-of-the-Year, the Dodgers’ Corey Seager, has seven hits in 34 at-bats and no extra-base hits. I think you get the idea. A player’s performance two weeks into a season does not a season make. Have some patience, wait for warm weather, and hold your boos.